Water Shortage: The Next Global ChallengeWater is our first necessity in life. And that is the reason water shortage is such a serious global challenge. Affected are every continent around the world and not just those regions that are traditionally dry. It already affects around 2.8 billion people around the world at least one month out of every year. And by 2050, half of the world’s population is expected to be affected. Solving water scarcity by providing affordable water for everyone. Revitalising communities affected by water shortage due to climate change. Making barren land fertile again. Learning from nature to develop smart solutions for supplying affordable water everywhere. With over 600 earth observation satellites in orbit, every square meter on Earth is photographed on a daily basis. At Ellipsis Earth Intelligence we believe that automatically and continuously processing this data into an actionable information source helps organisations and businesses to manage our most precious resources more productively and sustainably. We aim to lower the threshold and empower people to use good information for good things. Ellipsis’ main product is an easy to use API that allows you to query and visualize the vast amount of geographic information in our database. On top of this we offer an open-source interactive viewer and a Geomessage service to easily engage people on your projects. Solution for restaurants to quantify huge volumes of wasted food through image recognition in combination with a smart scale will provide real-time actionable insights in food losses in fields of procurement, planning and efficiency within the kitchen. 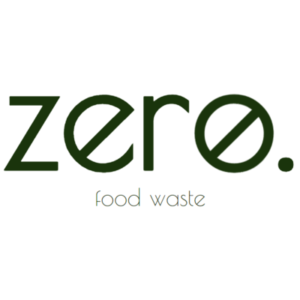 Besides the financial incentive to reduce food waste, this product can be used as a marketing tool to communicate to the customers of the restaurants. 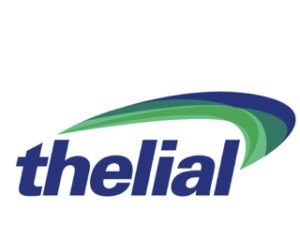 Thelial BV i.o. develops proprietary nutraceutical formulations of active ingredients identified by the parent company. Compounds are discovered using a patented discovery platform and actively support health by strengthening biological barriers. First product is benescoTM, clinically effective in the esophagus. Thelial B.V. i.o. is developing benescoTM, a first clinically effective nutraceutical to support esophagus health in Gastro-Esophageal Reflux Disease (GERD) sufferers by strengthening the esophagus epithelium barrier. GERD affects 20% of the population and is caused by stomach acid rising into the esophagus, the tube connecting mouth and stomach. Current long-term medication is falling out of favour due to side effects plus lack of efficacy in 3 out of 10 GERD patients. There is demand for nutraceuticals in long-term management of digestive health. benescoTM, a natural clinically effective nutraceutical is potentially a strong solution in a market with blockbuster track record. Saia will develop robotic solutions for greenhouses, disrupting the market first with a MVP cucumber harvesting, leased per hour. A market party will be found for the production. A greenhouse materials party will be found for distribution and servicing. Deep Learning Based Computer Vision As opposed to classical mechanization, the addition of sensing like computer vision distinguishes robotics from mere physically reactive systems. By using state-of-the-art artificial intelligence, e.g. machine learning based Deep Learning, a graphical scene can be interpreted in a very high detail of individual components. End-effector Manipulation Given that there is an enormous amount of variation in a natural growing crop, e.g. in the ways fruits and vegetables are positioned and sized, the end-effector has the requirement to cope with every situation if a high harvest success rate is desired. Moreover, the interaction with the hardware and the product must ensure the fruit or vegetable does not get bruised or cut during the harvest or transporting to a storage bin. Robot Integration and Control The system as a whole needs to be integrated and centrally controlled. By using the industrial version of the `Robotic Operating System’ (ROS), i) all hard- and software components can be interconnected and communicate and ii) the high-level behaviour of the robot can be implemented after which iii) path planning of the manipulator can be executed in simulation or in practice. (Autonomous) Greenhouse Logistics. Besides an individual robot that can harvest autonomously with a high speed and success rate, the system must be placed onto an platform that can drive through the greenhouse autonomously. Furthermore, the harvested products need to be placed in a local buffer and taken over by other autonomous vehicles to be transported to the central sorting and packaging hall of the greenhouse. 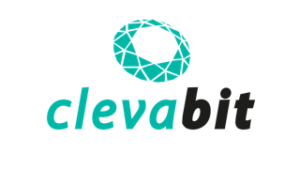 Clevabits AI helps farmers reducing medication, energy consumption and Veterinarian costs, increase animal welfare and end-product traceability, by using an unique IoT Hardware solution, which digitally capture farming data, upload them into clevacloud for mobile use from any device. Modular IoT system and a SaaS based software, we embedded existing sensor technology into a smaller, modular package, to capture data in real time and digitize them. By using a Gateway and the Smartphone or Tablet, we do not need an extra screen or power supply for using the sensors. The captured data will be uploaded then via one API into the Clevabit Cloud, where data will be combined and analysed with AI to provide Endcustomers with an enhanced set of data accessible via Smartphone, Tablet and Computer from any place in the world.